KATHMANDU, Dec 2: Nepal’s only International Airport, The Tribhuwan International Airport which is still to collect dues from the International Airlines for the services provided by has finally issued circular to airlines warning them to pay the dues within 15 days. The Civil Aviation Office of the TIA have had issued the public notice calling over two dozen International Airlines to settle their dues within the mid-of December, 2017. The exposure of the sky rocketing dues also have had dragged the attention of the Civil Aviation Authority of Nepal (CAAN) who also have formed an inquiry and probe panel to study over the case. TIA is yet to receive Rs 2.4 billion from different airlines as of July 2017. The airlines have not even paid passenger service fee that they collect from air passengers, and other fees such as the airport development fee, parking fee, navigation fee, security fee and counter rental amount, among others. International airlines are not paying the fees even though they mobilize revenue worth around Rs 80 billion a year flying to and from Nepal. 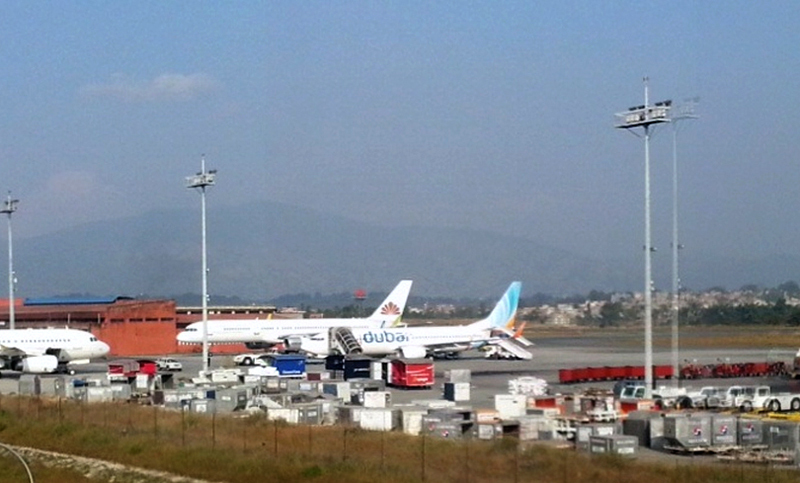 Nepal's aviation market is worth nearly Rs 100 billion. The share of national flag carrier Nepal Airlines Corporation (NAC), however, is only around 10 percent. According to the Airport Service Charge Regulations-2067 BS, it is the responsibility of the airport chief to collect service charges from the airlines. If any airline fails to pay such service charge within 60 days of the expiry of prescribed timeframe, the airport chief can order such airlines to stop flying to Nepal, according to the regulations.